HEAVY SLEEPER? TIRED OF SNOOZING PAST YOUR ALARM? USE THE SM - ProudMummy.com the Web's Community for Mums. HEAVY SLEEPER? TIRED OF SNOOZING PAST YOUR ALARM? 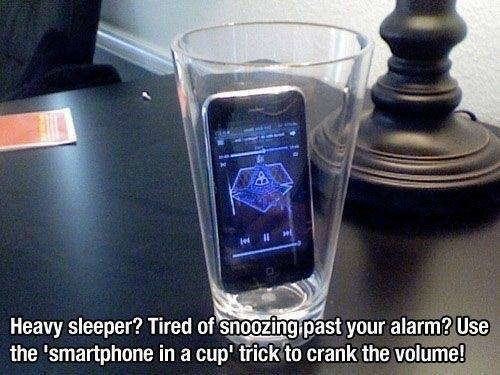 USE THE SMARTPHONE IN A CUP' TRICK TO CRANK THE VOLUME!